treatment? Are films reflective of a society or the other way around? Where: Deer Park Gathering, Bir village, Kangra, H.P. For Whom: This workshop is for anyone with an interest in films and/or filmmaking. 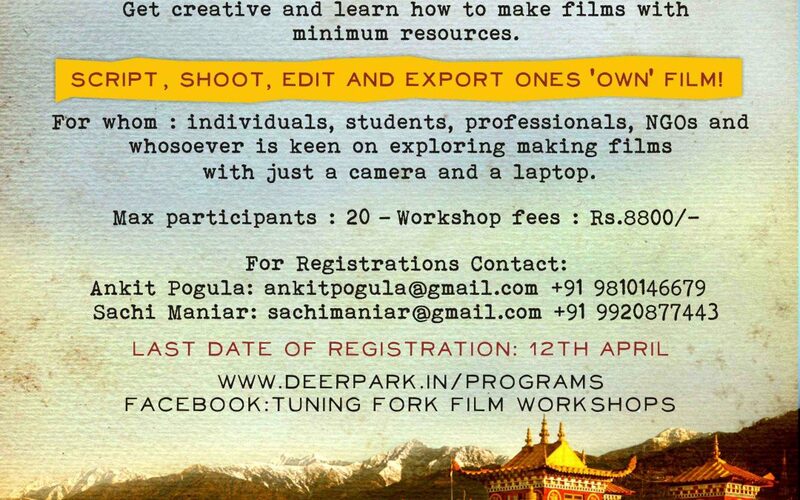 Individuals, students, professionals, NGOs and whosoever is keen on exploring making films with just a camera and a PC, and is looking to understand some fundamentals on how to go about it. 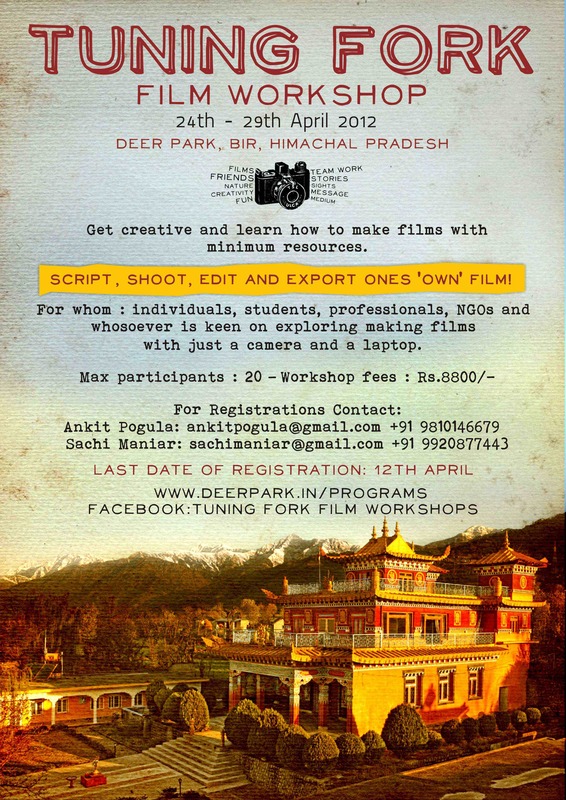 Aspiring filmmakers might find this workshop particularly useful. remittance of Rs 500 (which will be deducted from the total workshop fee of Rs 8800). Please send the form and registration fee latest by 12th April 2012.
alumnus of Mass Communication and Research Centre, Jamia Millia Islamia, Ankit has been using film as a medium to engage with urban and rural youth over the last 8 years on issues of Identity, Relationships, Development and Environment. He has also been facilitating filmmaking and value & peace education workshops across India for different organisations, students, teachers and professionals. documentaries, music videos, commercials and short films. She was selected as a Metta Mentors Fellow 2009 at Berkley, U.S., where she made a feature length documentary on non-violence. Sachi is passionate about service, travelling, trekking and photography. * Tuning Fork Film Workshops were earlier conducted under the name of ?Sight & Sound Film Workshops?.